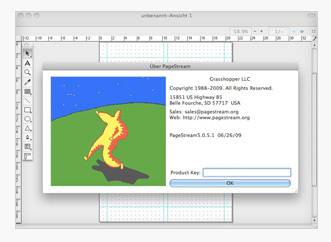 PageStream is a creative and feature-rich desktop publishing/page layout program available for Windows, Macintosh OS X, Linux, and Amiga. PageStream's interface allows you to interactively design your pages as they will appear in your final product. Mix text, images and drawings to create something as small as a business card or postage stamp, or as large as an entire volume of encyclopedias or a billboard. Leading features at an affordable price. Just $99, upgrades as low as $20.